Hey there my favorite Top Dreamers! 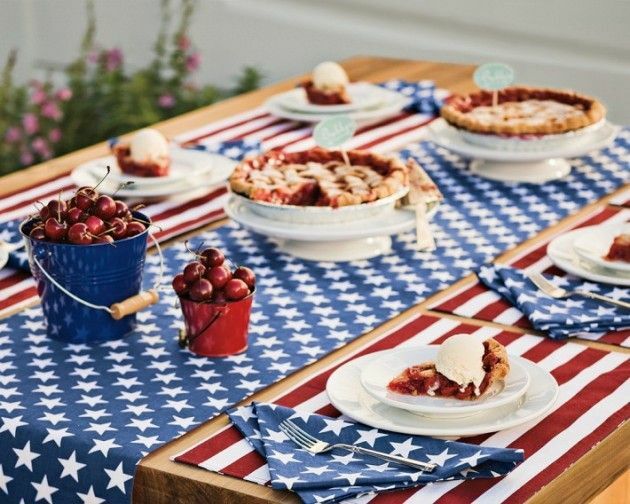 We are less than a month away from the biggest holiday for all Americans, so it’s time to start looking for some pretty amazing decoration ideas that can make our tables look at their best. 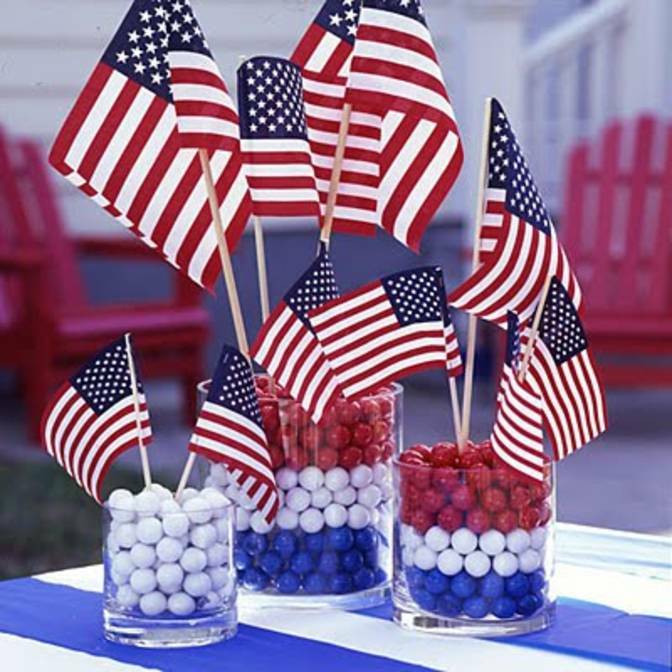 We are going to see red, blue and white all around us, and these are the colors that will show our patriotic feelings towards the country. 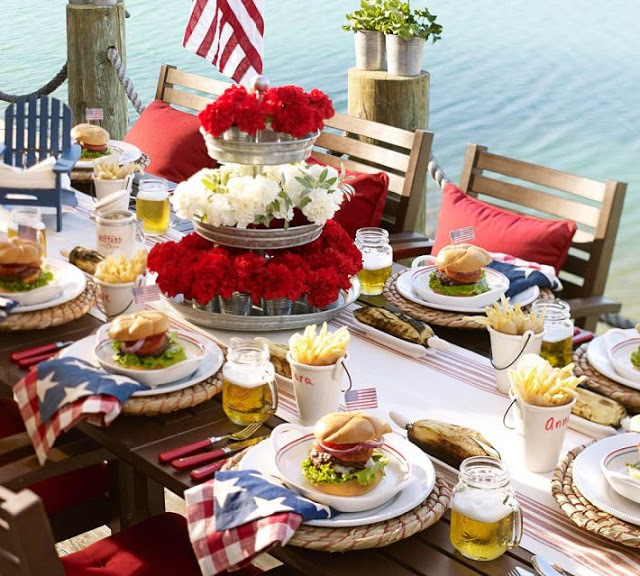 Is there anything more American than a red, white, and blue color scheme? 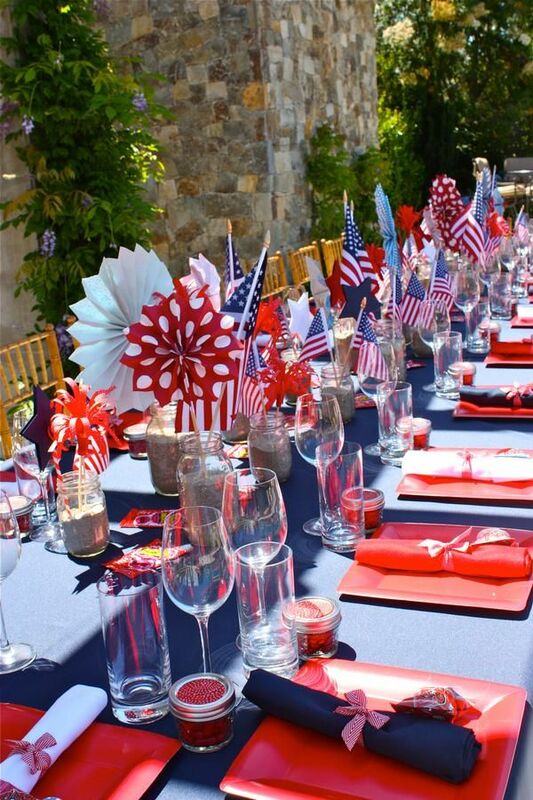 If you’re hosting a Fourth of July party this year this ideas will be more than great. 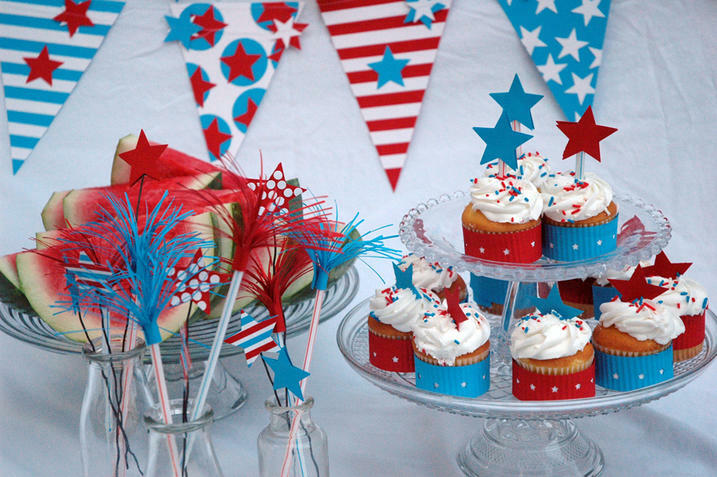 We have 15 ideas for July 4th that will be perfect for the celebration of freedom this year and you are going to love all of them. 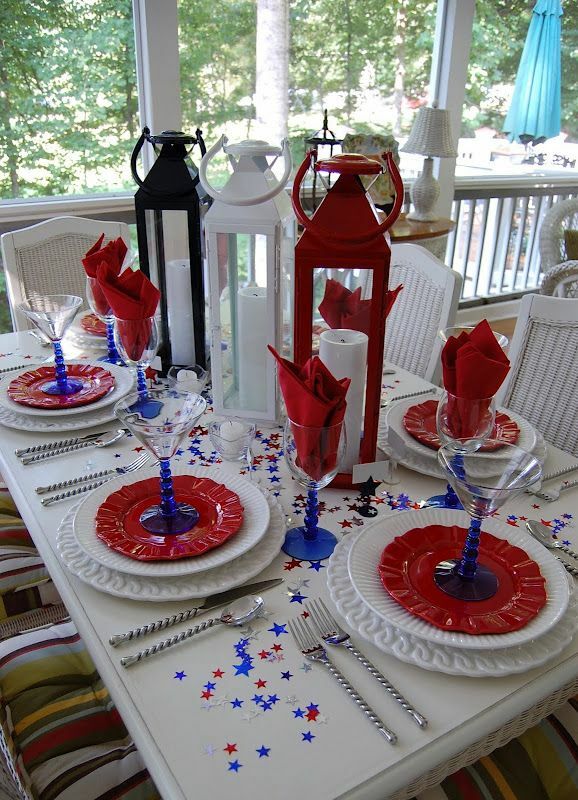 The food set one the table will taste even better when set among your red, white, and blue Incredible Independence Day Table Decorations! 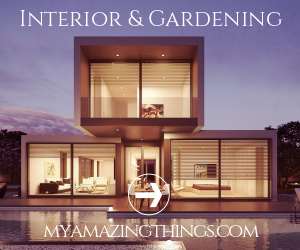 Check out what I have found for you and get inspired! 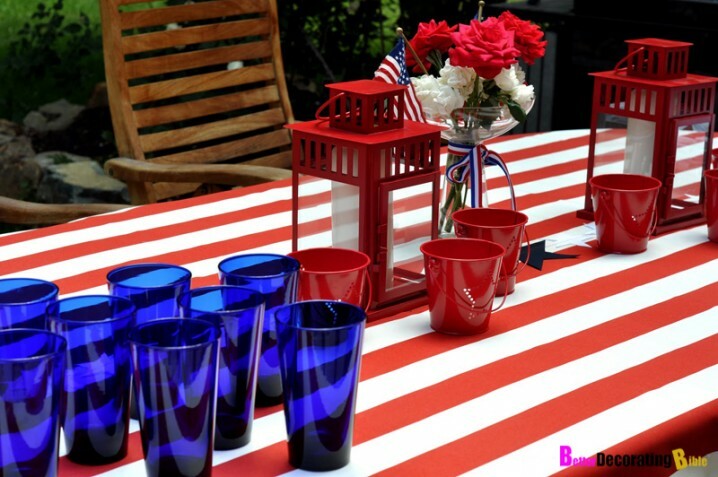 You can also add plates, glasses and lanterns in red, blue and white for an effortless Independence Day decoration. 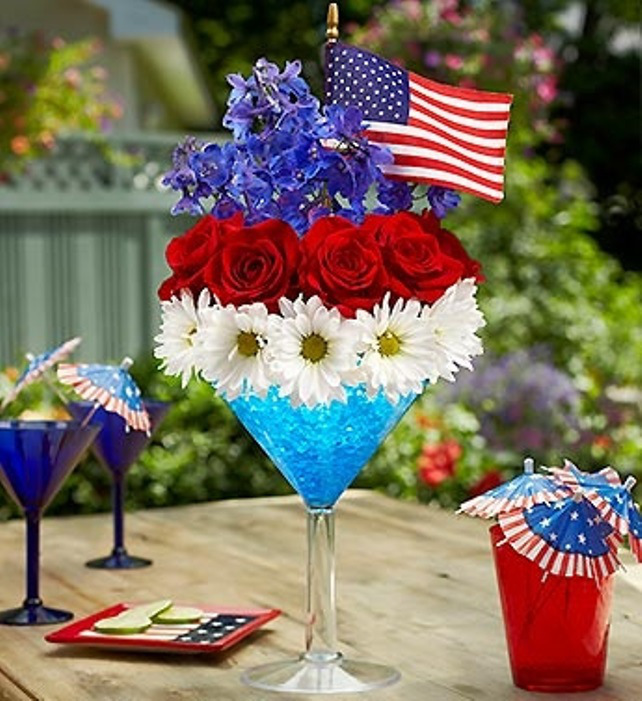 The glittering stars will add a nice finishing touch to the whole table. What do you think about this idea? 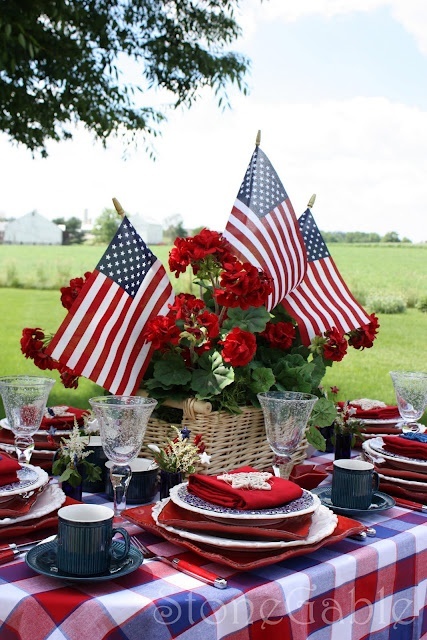 With all these decoration the party you will throw this July 4th till be a memorable experience to all your friends and family and it will be a day that they will always remember. 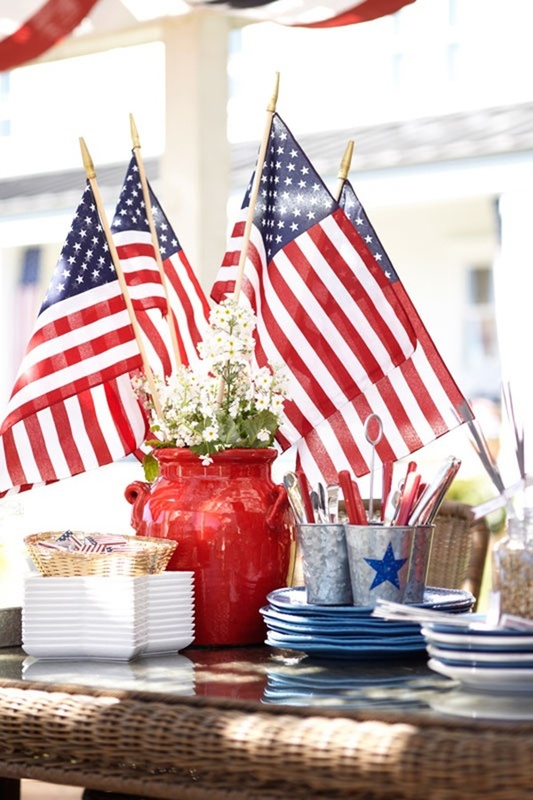 You can easily decorate your home in the spirit of Independence Day with these red, white, and blue 4th of July decorations. 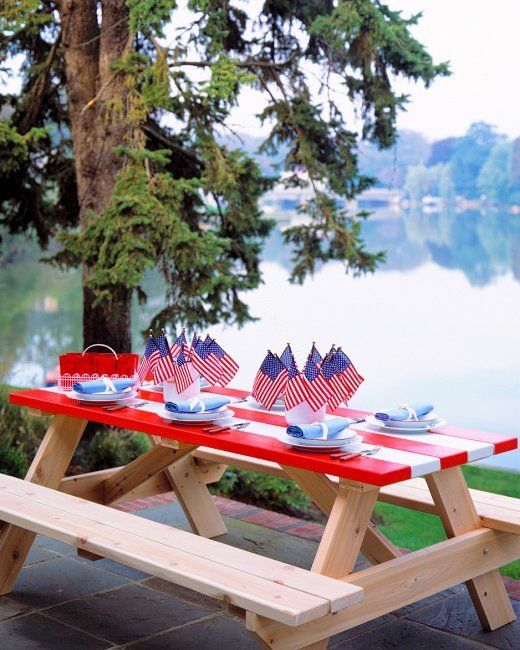 From flags to fireworks, these easy decorations cover every July 4th theme you can think of, and they’re cute to boot. You don’t have to stress much about the decoration about this big holiday. 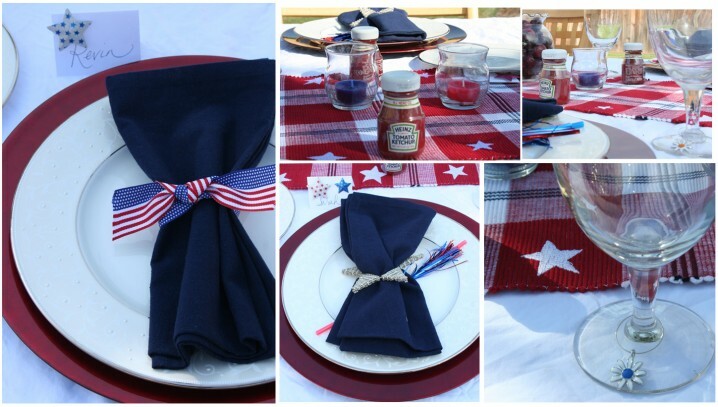 All you have to do is to add napkins in the patriotic theme and you are done. It’s pretty easy, and you won’t spend a lot of time decorating, but still your table will be in the festive spirit. 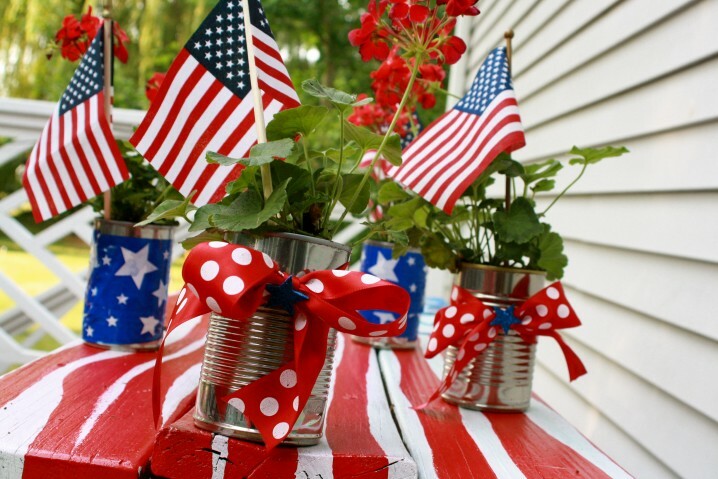 The american flags are the easiest way to add a patriotic touch to your 4th of July decorations. 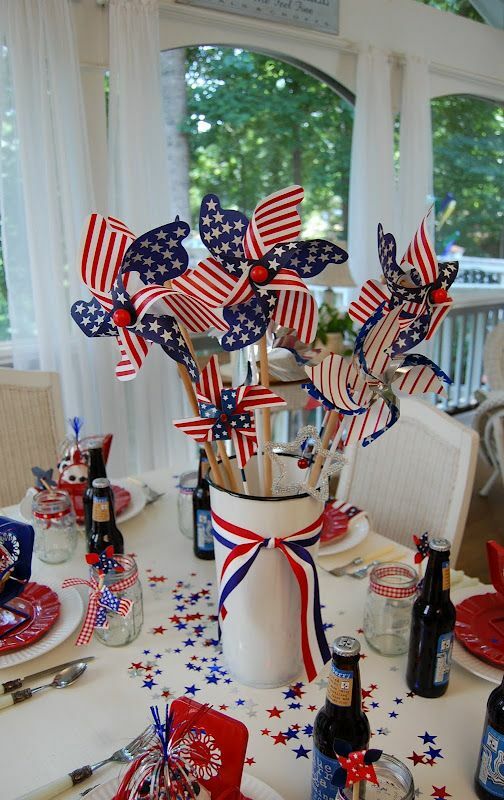 If you don’t have much time to think about decorations and make them on your own, just put flags here and there and your job here will be done in no time. You don’t have to stick to these ideas particularly. Feel free to use your creativity and imagination and create different decoration inspired by these one here. 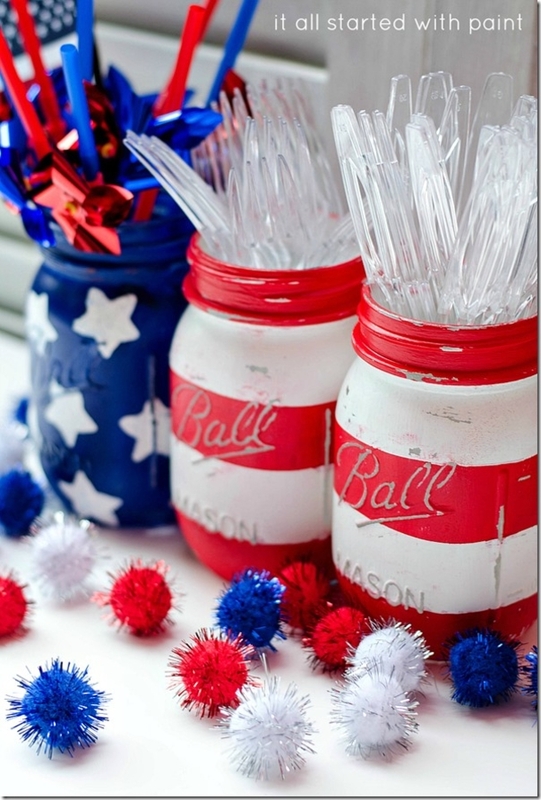 Have fun with yours and create your very own decorations to celebrate American ingenuity and spirit!